San Diego’s been grappling for the last couple years with what makes a vibrant startup community. Certainly, a vibrant community is one that fosters a culture of ideas and creativity to help startups grow into world-class companies. Now, there’s a new model to help cities get there, and it involves a new kind of leadership. Brad Feld, who founded TechStars, one of the most successful startup ecosystems in the world, has written a book about this new model for startups, “Startup Communities: Building an Entrepreneurial Ecosystem in Your City.” He describes how he helped create a startup community in Boulder, Colo., and says that if the right things happen, any community can create one. Let’s examine what Feld calls the Boulder Thesis and see whether San Diego is following it. • Entrepreneurs must lead the startup community. • Leaders must make a long-term commitment. • The startup community must be inclusive of anyone who wants to participate in it. • The startup community must have continual activities that engage the entire entrepreneurial stack. That entrepreneurs must lead is a new concept. Feld attributes this to the growth of new successful tech startup communities like Silicon Valley, Boulder and Austin. This was further backed up with a study released this month by The Kauffman Foundation, which found that entrepreneurship is a local phenomenon and that entrepreneurs follow entrepreneurs. Why is this important? Because peer-to-peer learning fuels rapid growth. But are San Diego entrepreneurs leading? Not as much as they should be – and there are some key reasons why. San Diego has many groups and universities that led in the past when it comes to creating startups. These groups are still very helpful. Organizations such as Connect and Evonexus have a group of former entrepreneurs who have been asked to help startups in their area of expertise. But these groups now need to take a backseat. They should also allow a new group of tech entrepreneurs to be more involved in the leadership and design of their programs. There are some entrepreneurs here, however, who are leading in San Diego. One such group includes founders Melani Gordon of Bevato and Al Bsharah ofEmbarke who put together San Diego Startup Week, June 17-21, where you can go on a tour of the hottest tech companies downtown. 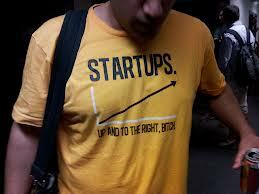 This same group also formedStartupSandiego.co as a place to learn more about San Diego startups. Another group includes Yashar Ahmadpour of CrowdClock, Randy Apuzzo of Zestyand Michael Sacca of Tiny Factory, who have launched Local Startups San Diego, a site that will show off local tech companies technology in a way that you can experience, test and try. It gives visitors a way to use the technology being built, find out more about each company and actually use the products. Downtown tech entrepreneurs with larger companies share their knowledge and raise substantial investment dollars. Entrepreneurs like Zeeto Media founder Stephan Goss, SweetLabs founder Darrius Thompson, Digital-Telepathy founder Chuck Longenecker and Steven Cox and Chris Waldron of TakeLessons.com. But even though these founders act as mentors and are involved in growing the community, it’s still mostly on a part-time basis. Leaders must make a long-term commitment. Here is another area that San Diego seems to be lacking. This is important to sustain the startup community through the many cycles that cities and the country might go through. Feld says that many leaders are excited about startups during a downturn, but when things are going well, the commitment fades. Sure, there are some local standouts, like Steve Cox, CEO of TakeLessons.com. Cox is proving that a large successful company can start in San Diego and attract substantial investment. And longtime San Diego entrepreneur Blaise Barrelet has invested in several San Diego companies with his Analytics Ventures startup accelerator. But other than that, most of the entrepreneur leadership is either very new or inconsistent. San Diego needs 10 more Steve Coxes –entrepreneurs creating companies and attracting investment, and more local investors who are willing to help. This is one that I will try to cover more in depth later, but it seems to be getting better. “Just four to five years ago I would go to a tech startup event and there would be no one there. Startup events were hard to find back then,” Patrick Dillon, president and co-founder of Deal Current, told me. Anyone can add their startup to the Local Startup San Diego site and have the community test their product. The events that startup expert Brant Cooper organizes, like San Diego Tech Founders meetup and Tech Coffee, are open to anyone. Jerry Hall, founder of founder of GovAlert.me, organizes an entrepreneurial event called1million cups each week that is open to anyone. What this means, says Feld, is activities that include all types of entrepreneurs – first-timers, experienced and aspiring entrepreneurs. It also includes everyone else involved in the startup community, including employees of startups, service providers, investors, mentors and everyone else who wants to be involved. The activities that all these people must go beyond tech coffees or single events. They include hack-a-thons, ongoing mentor sessions, intense accelerator programs and startup weekends. These activities are supposed to actively engage the startups and give the entrepreneur something to do in a helpful way. This is one area that is improving in San Diego’s growing startup ecosystem, but still has a ways to go. As many of the entrepreneurs leading the amazing growth in San Diego continue to build the startup community, these will happen naturally. • Some of the organizations like Connect and Evonexus should re-examine their hierarchal system and realize that, although they are still important to the startup community, they cannot lead in the way they used to. In fact, Feld says they can actually hurt. • New TechStars-like accelerators need to be formed in San Diego, led by entrepreneurs. These are company-building projects. • Successful entrepreneurs and investors need to get involved in the startup community. • I’d like to see Qualcomm Ventures get more involved. They are a $500 million fund with very small ties to the local startup community. • The city of San Diego needs to make it easier for startups to locate in San Diego to form a hub of innovation in areas like Makers Quarter and the upcoming I.D.E.A. District. If you have a startup event or want to join the discussion leave a comment below, or email me at blair@zambig.com.